Under the bridges and inside the culverts of SLO County, away from the public eye, a quiet revolution of sorts is going on. 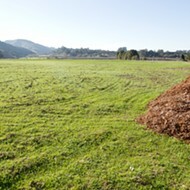 A close look reveals that the county's Public Works Department is going green. GREEN MAN : Paavo Ogren is leading the county's Engineering Department into a green future. # Gone are the pocket protectors and rigid way of thinking that once characterized the county's former Engineering Department. Instead, with Paavo Ogren now at the helm and Mark Hutchinson in charge of the department's environmental division--neither of them engineers--there's a new emphasis on teamwork and on taking care of the county's natural resources. It's a sharp contrast to the attitudes of the past, when county road crews "just blew off state and federal regulators"--as Hutchinson put it--and carried out emergency repairs on roads and bridges damaged in 1995's wet winter. 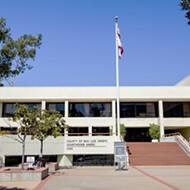 The state and federal wrist-slap for violating environmental requirements included penalties and mandatory restoration work and convinced the county Board of Supervisors that the department needed to change. Today, the scene in Ogren's office in the county courthouse illustrates the department's new direction. A large picture of a creekside concrete retaining wall now sits on the floor, replaced with an artsy painting of rowing teams pulling together as their boats move out of the mist. Ogren, who became the director in January, recently explained the department's underlying philosophy at a wastewater workshop: "It's through not fighting the environment but working through it that long-term problems will be solved." 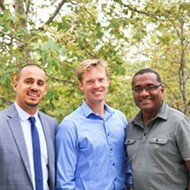 According to Mikel Robertson, a spokesman for SLO Green Build, "Both Paavo [Ogren] and Mark [Hutchinson] have shown that they're ready to champion more progressive, green ideas." The fact that the department even has an environmental division is unusual in itself, according to its manager, Hutchinson. "When I say my title at the society of civil engineers' conference, the older guys in the back think they didn't hear right, and the younger guys in the front, their jaws drop," he said in a recent interview. Hutchinson navigates the department's projects through the complex maze of state and federal requirements, making sure that threatened species such as red-legged frogs and steelhead are protected. "I go out with 50 guys in orange shirts and train them about red-legged frogs and how to work in the creeks," he said. "We put a lot of effort into designing projects to comply with environmental laws. In little, subtle ways, we propose projects that are more environmentally beneficial," he added. The new bridge on San Luis Bay Drive in Avila is a prime example. 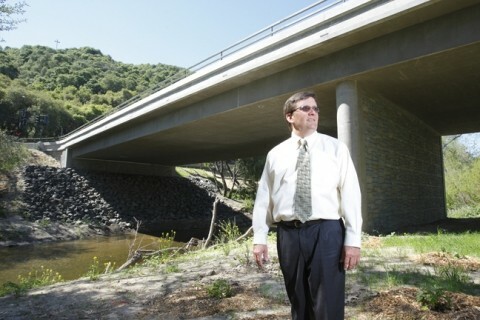 It's longer than the old bridge, with no columns in the waters of San Luis Obispo Creek. The Bob Jones Bike Trail now goes under the bridge, and work crews made an effort to protect the steelhead during construction. "As far as we can tell, we didn't kill any fish. Now drivers, fish, and bike riders are all happier," Hutchinson said. His approach is one of teamwork with the regulatory agencies such as the Army Corps of Engineers, U.S. Fish and Wildlife, and the California Department of Fish and Game, which all have to sign off on permits for bridge projects. The permit process can be adversarial, but Hutchinson's and the department's approach--asking for the agencies' advice to design a better project--is "a breath of fresh air" to the agencies, he said. "We're always trying to make it better, to do it right," he added. "We put a lot of effort into designing projects to comply with environmental laws." The department's stormwater management program is another example of the "new" Public Works, with its cutting-edge recommendations for Low Impact Development techniques to reduce runoff and prevent water pollution. "The guy mowing the lawn in front of the courthouse, the guy doing road patching, [they're] using more environmental methods," Hutchinson said. Ogren explained: "People might not notice, but it's every project, even culverts. We're removing the concrete bottoms and replacing them with natural bottoms for fish migration. We're putting in bioswales instead of concrete in drainage channels." The Sierra Club's local chapter director, Andrew Christie, gives the two men "high marks" for their stormwater management program, adding, "It's very impressive. They're genuinely committed to the best management practices." The changes at Public Works started when county supervisors eliminated the requirement that the head of the County Engineering Department, as it was called then, had to be a licensed engineer. Noel King, a longtime department accountant and CPA, became its director in 2001, changed its name to Public Works, and hired Ogren--also an accountant and CPA who had worked in the department--to be the deputy director. 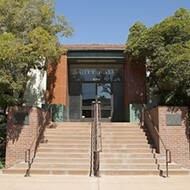 The two worked to convince the Board of Supervisors to add an environmental division to the budget, and Hutchinson came on board in 2003. A SLO County native, Hutchinson majored in natural resources management at Cal Poly, where he gained a thorough understanding of state and federal environmental laws before accepting a job in 1988 with CalTrans, which he described as "like a job in a vat of bubblegum, it moved so slowly." A year later, he became a SLO County employee, working with the environmental coordinator's office in the planning department. Ogren's environmental dedication began in third grade in Southern California, when he won a "Give a Hoot, Don't Pollute" art contest. 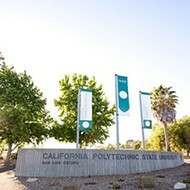 While studying business and accounting at Cal Poly, he worked as an intern in the county Engineering Department before landing a job there after graduation. Describing himself as an optimist, he said he believes in local government because it touches people's lives. Both men put their environmental principles into practice at home. Ogren installed a greywater plumbing system in his San Luis Obispo house, while Hutchinson built a bioswale to catch stormwater at his modest, passive-solar Paso Robles home. 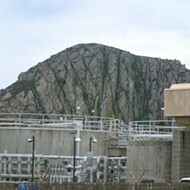 Both also confess that they spend a lot of time thinking about how best to resolve the Los Osos sewer situation, even when they're not at work. For all of the Public Works Department's responsibilities, Ogren concluded, "Environmental professionalism is a good business practice for the county that leads to better decisions and more efficient outcomes, saving taxpayers' money. "'The greening of Public Works' is a nice slogan," he continued, "but it's a component of better management and better business. The contrast was the day when people [in the department] were fighting environmental regulations. It's the transition of the times. We do get it. We understand that environmental concerns are important. It really boils down to common sense."